Are you tired of having mosquitoes, flies of all sorts, mice, roaches, and other nasty pests in your home? It's time to drive them away with our Ultrasonic Insects/Rodent Pest Repellent! This pest repellent emits low decibel, which is safe for babies, pregnant women, and pets since this products only targets rodents, mice, bats, squirrels, spiders, roaches, fleas, ticks, flies, wasps, ants, crickets, bed bugs, silkworms, mosquitoes, bees and other small pests. PROTECT YOUR LIVING SPACE FROM PESTS WITH ULTRASONIC & ELECTROMAGNETIC WAVES! NON-TOXIC, SAFE FOR KIDS AND PETS! This product relies on a microprocessor to create a force-field in your home. 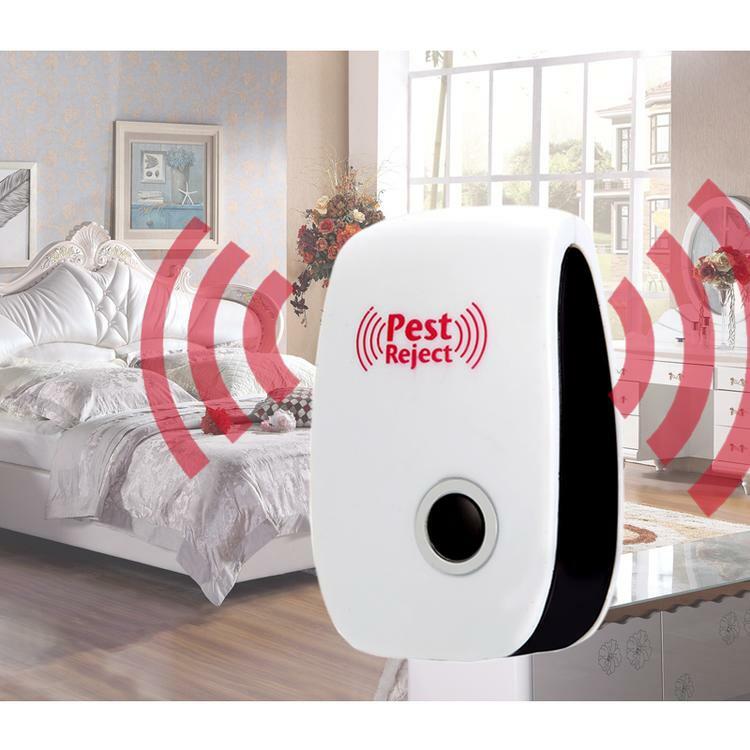 By sending ultrasonic sound-waves & pulses that randomly creates digital sequences which prevent pests from hiding within the walls, this miracle device will send rodents, bugs, and other pests running! This product also switches its frequency mode constantly, preventing pests from adapting and immunizing at a fixed frequency and with that, it is also able to attack all types of pests and bugs. All you have to do is plug it in! Simply plug it in a wall socket 15-20 inches above the floor. When the red LED light turns on, that means it is working! With this you will be able to save on all the refills and protect your family from the dangerous effects of insecticides and terrible smells that come with them. There are no refills required with this machine since it works with Ultrasonic and Electromagnetic waves.